Our stylish & elegant way to wear your medical information. The QR code Bangle Medical ID is made from stainless steel and comes in a glamorous rose gold or a stylish silver with cubic zirconia crystals. Each bracelet 3 charmlettes that read Be Strong, Be Brave, Be You. 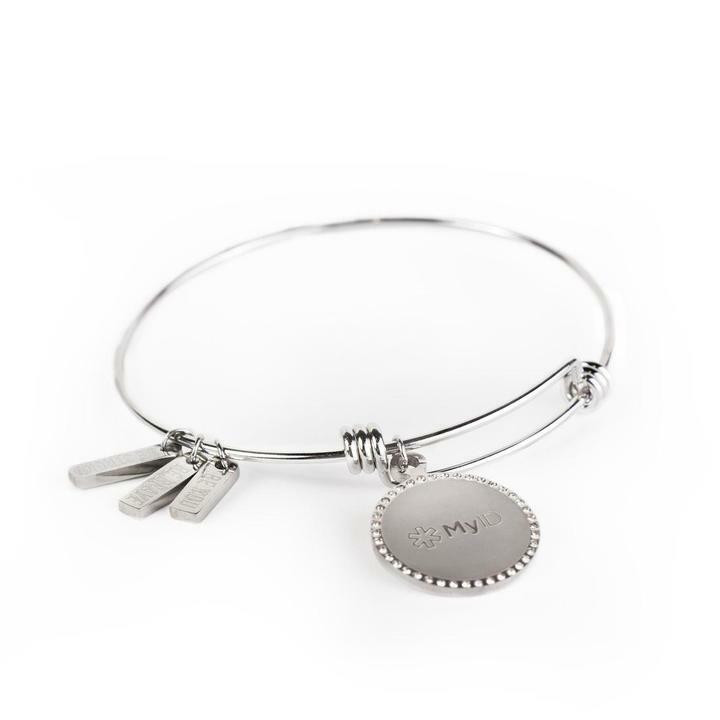 And the backside of the Charm has the 3 access points to your online medical profile.